After the thoroughly underwhelming and slightly weird U Ultra, it's safe to say many HTC fans have been waiting for a "return to form" sort of product from the struggling smartphone manufacturer. While the U11 isn't what I'd call a massive leap forward, it does take steps in the right direction - some obvious, some less so. But this isn't a phone without compromises. The headphone jack is still gone. HTC tries to suggest that since it includes its U Sonic earbuds (now with active noise cancellation) and an adapter in the box, the pain of this will be offset for most consumers - but I'm getting ahead of myself here. What is the U11 all about, and should you even care about it in a world where the Galaxy S8, OnePlus 3T, LG G6, and Google Pixel tend to dominate the conversation? Is there really a place left for HTC to compete? 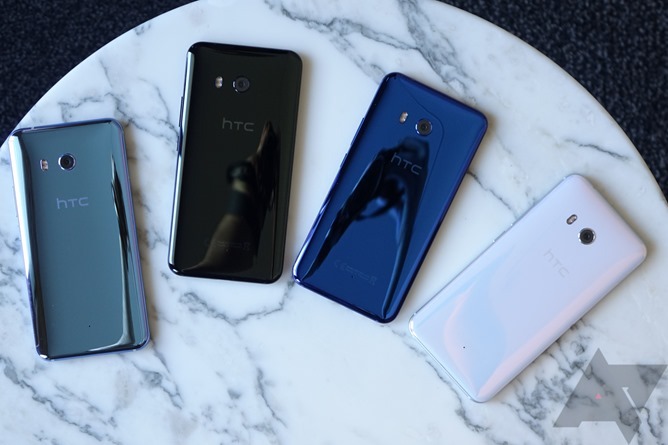 My initial impression is that even if it isn't the most exciting smartphone of 2017, HTC makes a reasonably good case for the U11 to what is probably a shrinking group of HTC loyalists. For everyone else, though, I'm less convinced. The U11 does fix some of the most glaring flaws found in the U Ultra. It's IP67 rated, and the abominable camera hump on the rear is gone - replaced by a small circular module that's barely raised above the glass back of the phone. There's no awkward ticker display, and the phone is very manageable in the hand, with a 5.5" screen diagonal at a standard 16:9 aspect ratio. It's basically the size of a Pixel XL. 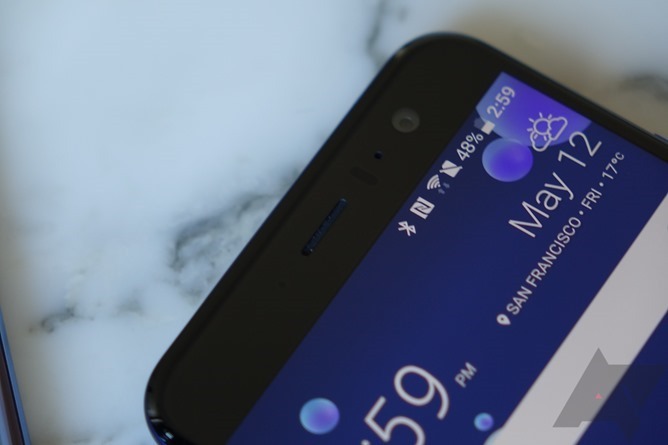 Frustratingly, HTC has continued to stick with capacitive keys on the U11, and I still find their placement visually bothersome - why can't they be aligned along the center of the bezel's vertical axis? Not to mention, I just don't really like how the haptic feedback on HTC's phones feels when using them. It's very sharp and hollow, and it was exactly the same on the 10 last year and the U Ultra this year. The fingerprint scanner does at least seem very responsive. While the all-glass design is visually pleasing (particularly in the black and sapphire blue finishes), like the U Ultra, I feel the large bezels and strange capacitive key placement make the U11 look a bit dated. 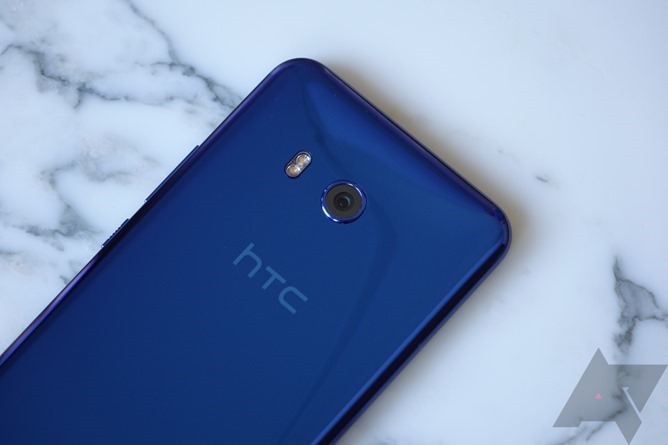 HTC's deeply-colored glass is an eye-catcher, but it's also very good at acquiring very visible fingerprint smudges in no time at all. I would go a little nutty trying to keep this phone clean constantly, and smudges are of course most obvious on my preferred finish (black). I'm just not sure I like this look for HTC - the 10 was such a visually distinct phone. The U11 isn't what I'd call generic, but there's nothing about it that grabs me, either. And to be frank, I think Samsung is head and shoulders above HTC in terms of industrial design these days. The U11 isn't ugly, but it doesn't feel like it's breaking new ground visually. The 5.5" QHD display is still an LCD, and it looks reasonably bright and vivid. I noticed that the engineering test units I played with had pretty terrible light bleed, though, and I know for a fact this was a complaint on the U Ultra. 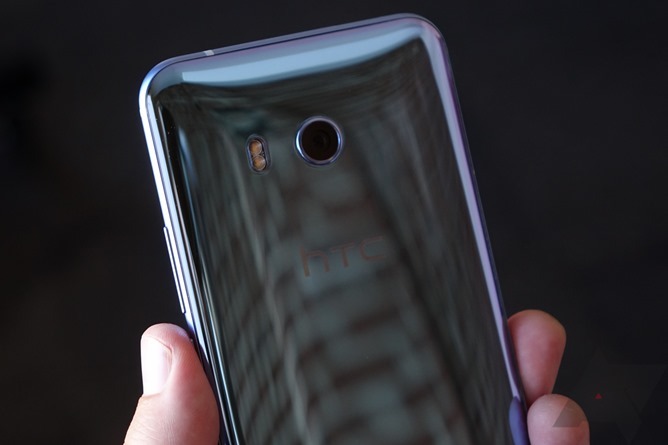 I hope HTC gets this right in production form - it just makes the phones reek of substandard quality. Again, these were preproduction handsets, and it's likely final units will be more refined. At least, I hope they will. The light bleed is obvious even in this photo. Powering the pixels behind this display is Qualcomm's Snapdragon 835 chipset, and HTC claims the U11 will be the first handset to launch "globally" with this silicon, mostly because Samsung only released the 835 version of the S8 in North America. I guess that's an achievement? I'll be honest: I was not impressed with the performance of the U11 on this preproduction software. Things felt a bit janky at times and animations definitely were not buttery smooth. Again, I suspect things like this will get better in production - HTC has generally been pretty competent in terms of performance tuning over the years (exception: the ghastly One A9), and I suspect they just need a bit more time here. 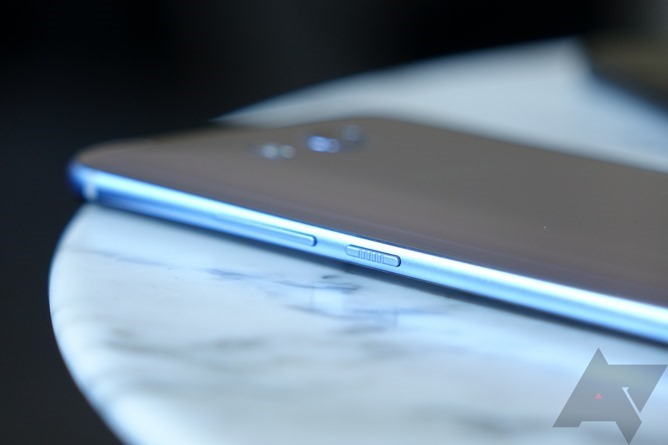 Also on board is a new camera, likely one very similar to what we saw on the Galaxy S7 and S7 edge last year. The U11's rear camera is composed of an f/1.7 lens (same as the S7) and a sensor with 12MP of resolution (same as the S7) and dual-pixel autofocus (same as the S7). Optical image stabilization is in tow, as well. I didn't have a chance to test it during my limited time with the phone, but if this is the same or at least a very similar setup as what was found in the Galaxy S7 last year, I'm optimistic camera performance will be excellent. As for things I can tell you, but not tell you about: there is 4GB of RAM, 64GB of standard storage, and a 3000mAh battery. I suspect the battery life will be totally decent, but I equally expect a lot of complaints that the capacity isn't ideal. The Snapdragon 835 seems pretty efficient in the Galaxy S8, though, so I'm not super worried about the U11 in this area. Only testing will really tell the full story here, so we'll have to wait and see. 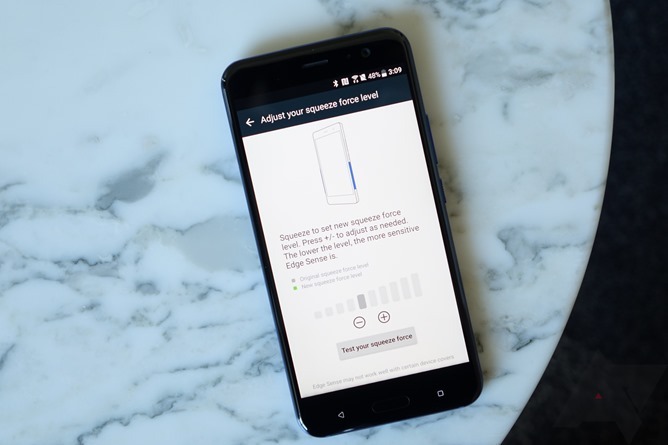 Quick Charge 3.0 is supported, but once again, we're seeing a Snapdragon 835 device without Qualcomm's new Quick Charge 4 tech. I asked HTC about this, and their answer essentially seemed to be that Quick Charge 4 either wasn't an option, or at least not a practical one (it's not even clear to me if Quick Charge 4 is "done" as a specification yet). 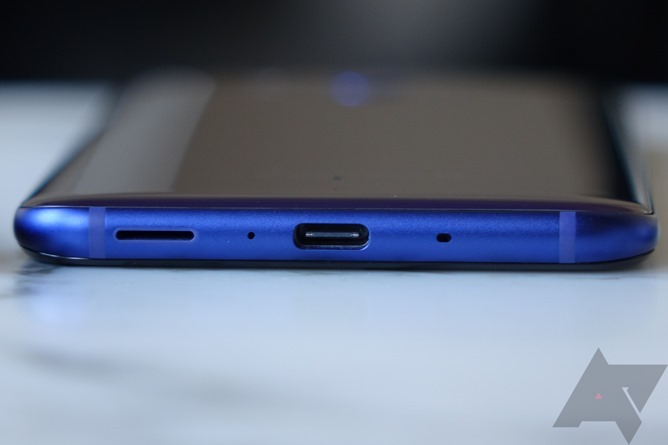 Now, let's talk about that headphone jack. There still isn't one. HTC is including its USB-C U Sonic earbuds in the box with the U11, and they're actually different than the ones the U Ultra shipped with. This time, HTC has added active noise cancellation to the mix, but it's not something I tested. The headphones retail for $39.99 separately, and having used the U Sonics with the Ultra when I reviewed it, I can say they're halfway decent. Certainly better than what you get in the box with most smartphones, though Samsung's new AKG earbuds bundled with the S8 pretty handily trounce them. Also included is a USB-C to 3.5mm adapter, so at least there's that... even though I find dongles are the sort of thing I forget to keep with me - I've already got enough stuff to remember to put in my bag and my pockets. If you live the wireless headphone life, though, you probably don't care about any of this. On a more positive note, the speakers on the U11 rock. They are seriously great. HTC has used the space occupied by the deleted headphone jack to expand the resonance chamber for the bottom-firing speaker, and the results are clear: this may well be the best built-in external speaker on any smartphone. It's much, much louder than the one on the HTC 10 (HTC did a side by side for me) and much clearer and fuller-sounding. BoomSound is back, baby - even if one of the speakers does fire downward. Moving on to the software, let's start with Edge Sense. This is a new feature that utilizes a set of pressure-sensitive sensors built into the side of the U11's frame. You physically squeeze the phone's sides (on the bottom half only), and stuff happens. You can launch an app, the camera, Google Assistant, turn on the flashlight, start recording audio - whatever. This really strikes me as an awesome feature, because it just seems so obviously helpful once you use it. As HTC pointed out to me, it's also a great tool if you're wearing gloves, since the sensors respond to pressure, not capacitance. 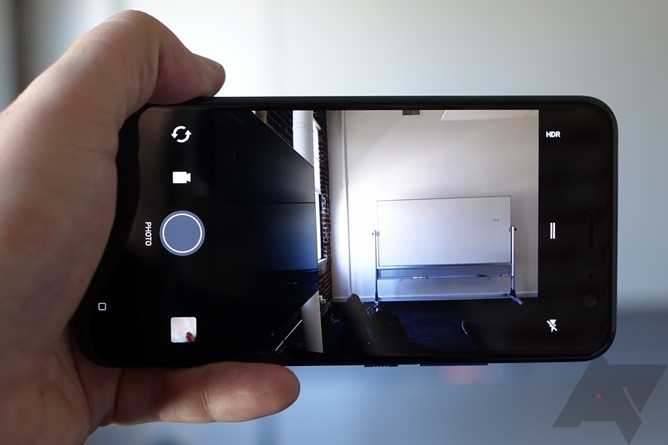 The camera shortcut mode is pretty clever: you squeeze once to launch, then you can squeeze again to capture a photo (it would be nice if long-squeezing switched between the front and rear cameras, though). While I would probably map the squeeze to Google Assistant, I can see the camera thing becoming second nature to anyone who owns this phone. 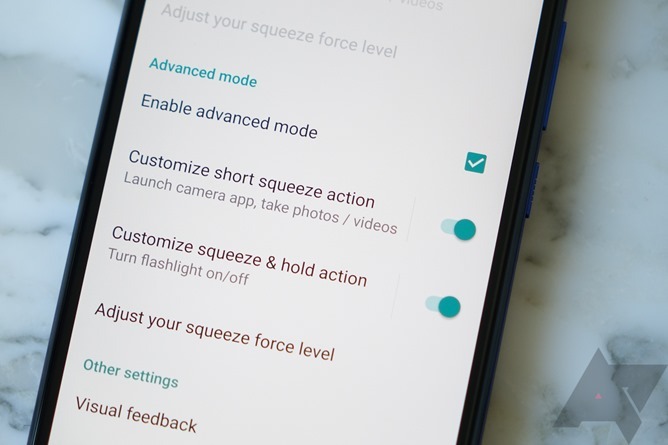 You can even adjust the amount of pressure needed to activate Edge Sense (it'll also show you where on the sensitivity scale your grip level falls in real time - helpful). 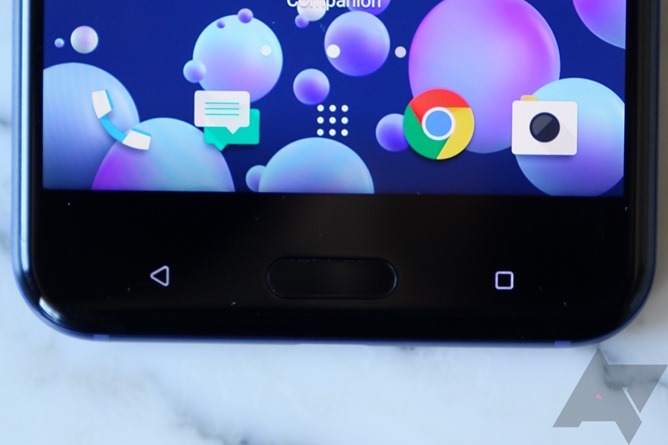 Will Edge Sense sell phones? No. Is it something that I can see myself using if my next phone has it? Absolutely. I have a feeling HTC is just the first manufacturer to try this, and that others will follow. No pun intended: it just makes sense. Not to mention, it's easy to see this kind of functionality growing to also include support for things like gestures (press and slide up to change the volume, for example). This whole concept really resonates with me, and it's rare I say that of a new phone feature. Otherwise, the U11's software is basically just Sense, which really isn't much of a reskin these days - HTC is applying what is largely a light theme and a few features in the settings app, something that doesn't really feel anywhere near the level of TouchWiz or the Sense of old. 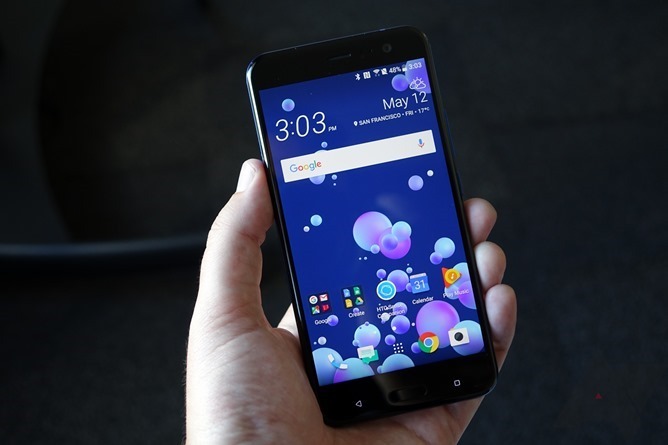 The phone will run Android 7.1.1 out of the box, and HTC hopes to provide the phone monthly security updates, but would not give a concrete commitment, merely an expression of intent. Overall, the U11 seems like a competent smartphone, and Edge Sense is a legitimately useful and novel new feature. Is that enough to fix HTC's troubled smartphone business? I doubt it, but this still seems like a totally solid phone, and I have a feeling some HTC fans will be primed and ready to submit their pre-orders. 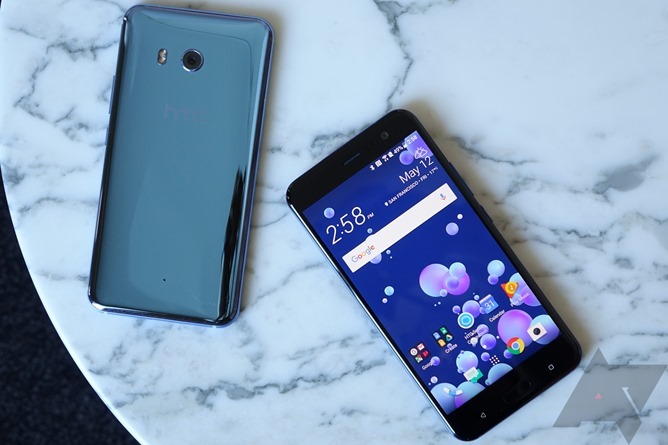 The HTC U11 will be available via Sprint, HTC's website, and Amazon. The Sprint SRP for the phone is around $700, so I'd expect it to retail for close to that on the HTC store and Amazon, but we've not heard officially yet. The colors launching in the US are black, silver, and blue. 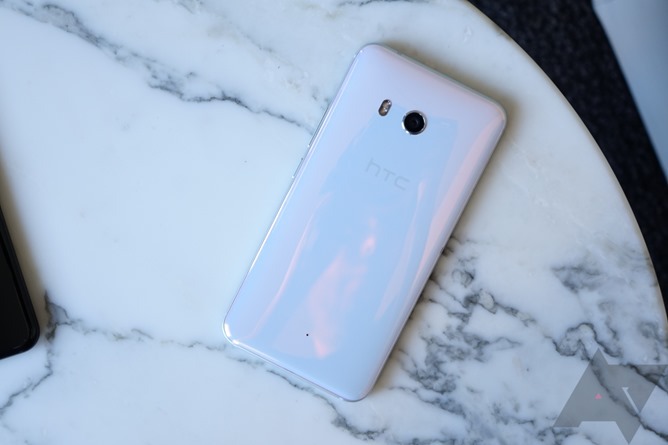 The white version probably won't come to the US, according to HTC. Have questions about the U11? Ask them in the comments below, and I'll try to answer (questions about battery life, camera performance, and speed won't be answered - I don't have the information to do so).